A good one to look into because the government is keen to help businesses at the moment. Consequently there is a great deal of stimulus funding waiting to be allocated if you know where to look. The downside of this type of funding is that you will still need to go through the long-winded and endless hoops of traditional loan applications, but there will be a portion of general government inefficiency thrown into the mix too. What this means is that these kinds of funds can take a lot of time and red tape to get to. On the plus side however, they come with low interest rates that more than make up for the bureaucracy and are a reliable, safe, inexpensive and ethical source of alternate funds for small businesses. To get more details of these funds just head over to the Small Business Administration website. During the credit crunch one of the things that came out was just how casual people had become about taking equity out of their houses, using the money for cars or holidays. So confident were we all in the ever increasing value of property that the line of credit they offered seemed irresistible. Now however, with prices dramatically decreased, it is clear we need to be a lot more careful. Nevertheless, if you still have significant value in your home and a great deal of equity, then funding your business is not such a frivolous use of the money and if the business is worth it, this can be a good source of funds. Just make sure you don’t overstretch and risk losing your home. Merchant Advances are a way for lending companies to buy a portion of your businesses future sales via credit cards. What they would do is buy $15000 of your future sales for $10000 today. Once you are making credit card sales you would then send a portion of them back to this lender until they have got their $15000 back. As with all things there are some companies that provide this service at decent rates and others who will try to get you to sign up to prohibitive rates, so be careful when choosing companies. Credit cards are useful in the short term and terrible in the long term. If you are certain that you can make full payment at the end of the month then they are a great way for a small business to help cash flow move along and maintain inventory. Similarly, if you shop around you can find many introductory offers with 0% rates and these are brilliant tools for business funding. However, you absolutely must make the payments each month or you could very quickly get your business in trouble. If you need to raise funds and don’t want to attract high interest rates, one way of doing this is to sell someone a share of your company in return for a cash investment. This can be a useful tool to get your business up and running and if you negotiate well you don’t need to give away too much equity in the business. 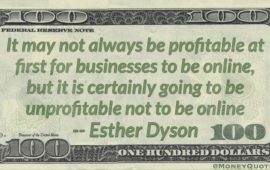 Just be aware that their cash will give them some say in how the business will be run and of course that the business is no longer 100% yours. Alex is a copywriter and blogger based in the UK. He currently writes a financial blog for the contracting sector, covering everything from mortgages to payday loans.